VBASafe 1.655 - Download Win Apps. 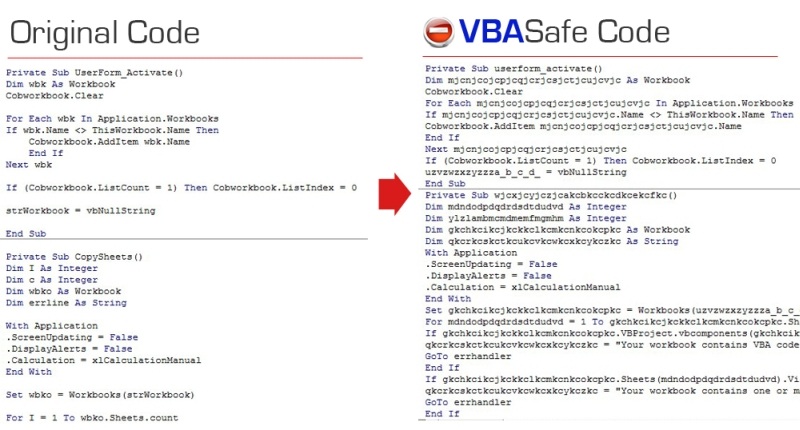 Protect VBA Code, scramble VBA code and clean VBA projects. VB is an advanced product specifically designed to protect your VBA code.With VB your VBA code is converted to a format which is unreadable to the human eye but still interpreted as normal code by Microsoft Excel.